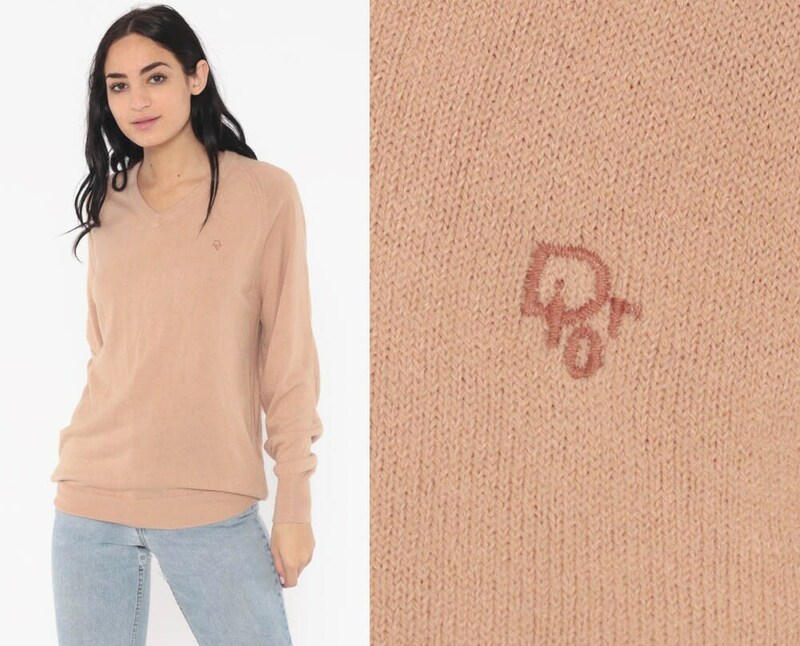 Vintage 80s sweater by Christian Dior in tan knit. Slouchy fit with a v neck and the Dior emblem embroidered on the chest. Unisex. Condition: Good vintage. Some faint red spots on the front of the sweater by both sides of the collar.